Leaders find themselves pulled in many directions because of competing demands for their time and attention. When leaders fail to ground themselves and lack focussed intention, they risk doing the wrong things or causing harm to those they lead. Mindful leadership is about becoming more conscious, more intentional and more aware of one’s inner processes. The mindful leader leads from a grounded, self-aware and compassionate place, which reduces stress for others and inspires teams to action. 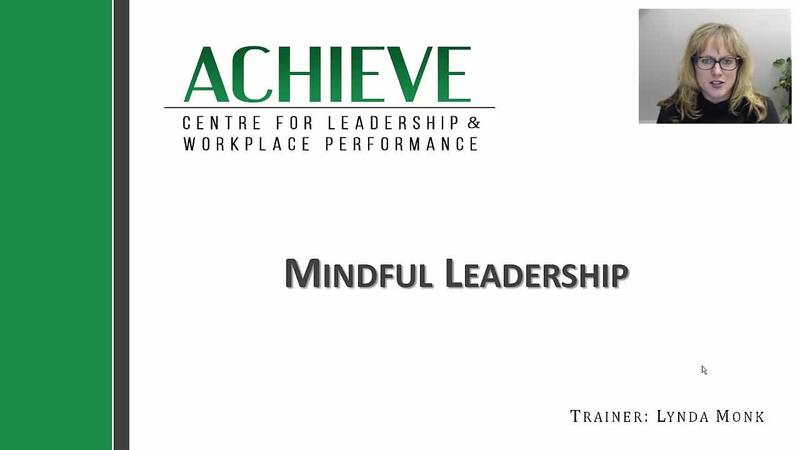 This webinar examines how leaders can bring mindfulness practices into their work to feel more inspired and productive, while also contributing to an overall healthy and engaged workplace culture.